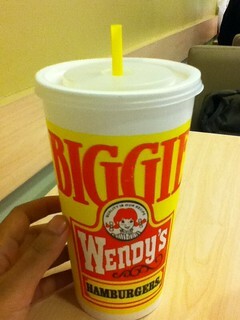 POST-DUTY TREATS: Wendy's Biggie Sugar-free Iced Tea (Php 65), the fondness for which I recently acquired from my blockmates, and Hungarian Bagel Sandwich from Dunkin Donuts (Php 95). 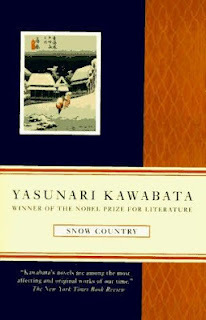 SNOW COUNTRY, arguably Yasunari Kawabata's masterpiece, is about a rich man from Tokyo who travels to an isolated town where the snow can be as high as four to five meters in depth during winter. 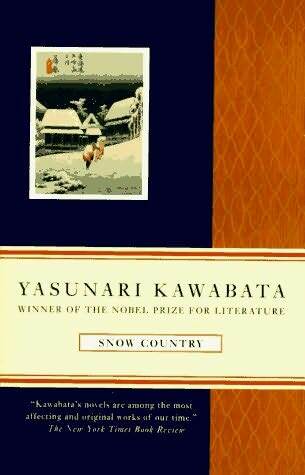 This man, Shimamura, meets a young provincial geisha, Komako, and falls for her. The town, which remains unnamed throughout the story, is famous for providing paid female companionship, a staple of the local economy. Men, both single and married, would often travel alone to far away places—in this case, a cold town—to get away from the busy and stressful life in the city and to avail themselves of such woman comforts. The novel begins with a train ride. Shimamura sees a beautiful lady traveling with a sick man. He cannot keep his eyes off her reflection in the glass. Her name is Yoko. He keeps thinking of her. During this vacation, the married Shimamura meets Komako. She is a rural geisha. Unlike their city counterparts, geishas in provincial places at the time were in the same social class as prostitutes. They meet in the famous hot springs. She visits him in his room. They walk around town together. 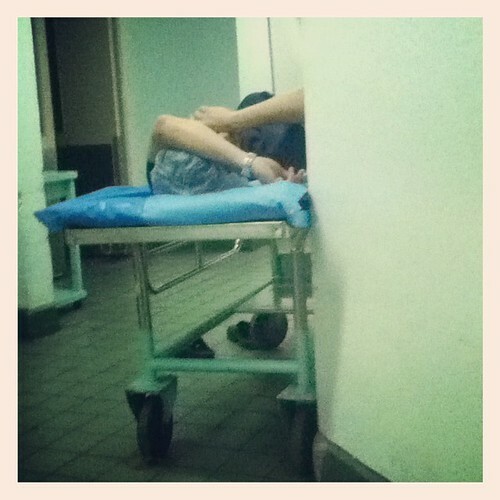 A TIRED SURGERY RESIDENT took a nap while waiting for his operation to begin. People in Surgery are so sleep-deprived it amazes me how many of them still manage to keep their cool, even in stressful situations. 1. ME, WAKING UP at 4 am every single day, when the rest of Manila was pretty much still in REM sleep. 2. Doing anesthetic pre-evaluations at 5 am, with the patients either sleepy, anxious, nervous, or overly conscious of their morning breaths when I asked them to open their mouths as fully as they could. 3. 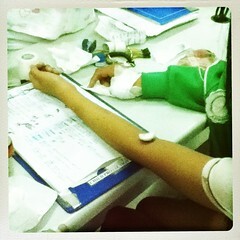 Praying that I'd get a good case, so I could perform the required number of procedures. 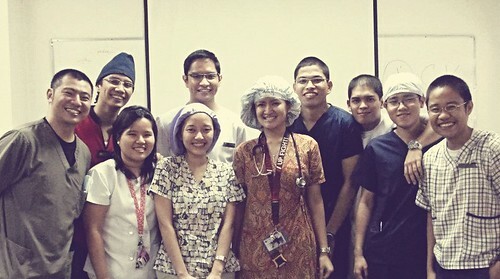 ON MY FIRST week in Anesthesia, I was mostly a tambay at the OR, hanging out beneath the curtains, looking at the ECG while the operation was going on, until the residents would ask me a question, and I would smile my smile that meant, "I honestly have no idea, Ma'am." I barely did tracheal intubations (inserting a tube inside the patient's trachea so he can breathe during surgery) or spinal blocks (puncturing through the layers of the patient's spine just enough to let the cerebrospinal fluid flow). I'M ALWAYS ON THE LOOK-OUT for good TV series. By "good," I mean those shows with original plots, crazy characters, or funny punchlines. Depending on my mood, I enjoy both serious shows and sitcoms. Sometimes I want my shows to not require too much neuronal input; other times I want to get stressed watching them. The only requirement is that I should care for the characters and relate with them. I don't particularly like drama, except for The Good Wife, and I have a special revulsion for shows with teenage lovers on them, like Gossip Girl, or anything to do with vampires, although I did get to watch some episodes of Vampire Diaries but was irritated by how the characters repeatedly mentioned "Elena" and "Katherine" like they were mantras. Among my favorite TV series thus far include (and this is in the order of how I love them): Breaking Bad, Generation Kill, The Good Wife, Gavin and Stacey, Modern Family, How I Met Your Mother, and Big Bang Theory. Of course I watch many other shows in between, but I couldn't, for the love of me, beat my brother in this area. Kurt Vonnegut's Armageddon In Restrospect: don't use semicolons daw. IF I AM to simulate, even by a long shot, the life I had just before clerkship, I must resume my usual reading habits. That means I must take a break from my medical books once in a while — if I ever do read them — although I must confess that Dripps/Eckenhoff/Vandam: Introduction to Anesthesia edited by David Longnecker has been a fun, engaging experience for me. 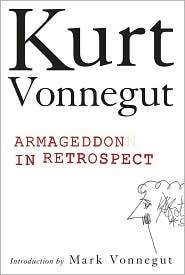 Kurt Vonnegut's Armageddon in Retrospect was my alternative reading material. I had read it intermittently, having started on parts of it while the eye of the storm momentarily passed through the Emergency Room, and continued on it while I waited for the Anesthesiology resident to allow me to do the spinal anesthesia block. Published posthumously, the book is a collection of 12 essays and short stories, with themes ranging from the author's speech delivered in Indianapolis in 2007, to his World War One experiences, and the bombing of Dresden. Many of the stories remind me of Slaughterhouse-Five, probably Vonnegut's most famous work, which is about an ill-trained American soldier captured by the Germans. Almighty Father, remind me that I need you every day, as I am inclined to trust in my own devices, thinking I can make it through the day on my own. Show me how depraved and sinful I am, how large my need is for Your grace to win the battle against my godless desires and motives, that I may cling on to You, my joy and strength. Forgive me, Lord, if many times in the day, I wallow in my self-sufficiency. Glorify Yourself through my weaknesses, and humble me, however painful and slow the process may be. So very Amen, in Christ's precious and holy Name. I REMEMBER how surprised and daunted Renan Laruan was — one of my brother's housemates, also an old friend from our side of the country — when he learned that he qualified as a writing fellow for the Cultural Center of the Philippines' Virgin Labfest Writing Fellowship Program. The mentorship was to last for two weeks, to be facilitated by the playwright Glenn Mas to inspire budding writers to pursue theater. 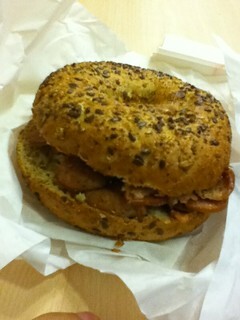 I, on the other hand, felt like it was bound to happen somehow. Renan is the artsy-farsty kind of guy, having recently qualified into an art history program at the University College London, worked as an intern at a recent art fair in Hong Kong with a European company, and apprenticed at a Philippine art restoration project. He lives and breathes art. On his study table are old books on art, photography, and philosophy. Even the pieces of literature he reads are hard to understand — he introduced me to David Foster Wallace and Thomas Pynchon, and I would frequently see him reading books and essays that would otherwise lull me to sleep or leave me wondering, "Did I just not get that?" 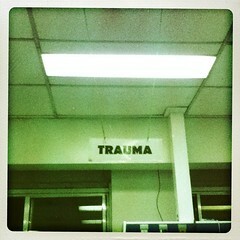 THE TRAUMA WARD, in all its blinding whiteness, resembles some scenes from shows I enjoyed watching in the past—namely, Downton Abbey where Lady Edith Crawley distributed letters among wounded soldiers, many of them with bandaged heads like Lazarus; and Atonement where the young nurse Briony Tallis changed the sheets and brushed the bed pans as the stern chief nurse, also a nun, looked on. Now, you may laugh at me for saying this, but being in the midst of broken bones and lacerated bowels for a week made me feel like I was brought back to the World War One years, only that I did not care for dying soldiers who fought for their countrymen, but for patients who sustained multiple injuries due to reasons vastly different from heroism. WHEN I WAS STUDYING at the University of the Philippines Diliman, I spent a lot of time at Palma Hall, or what we non-freshmen people called AS (short for Arts and Sciences; it used to be the home of the College of Arts and Sciences, if my memory serves me right). When I was a freshman, my brother had to force me to call it "AS" lest people think I was a newbie and trick me into rushing to the non-existent TBA building. I took my English, Geography, Linguistics, Kasaysayan, Communications, Art Studies, among other General Education classes there. I invested a lot of happy memories in its halls, mostly of meeting random classmates in old, non-airconditioned classrooms; sitting on the cold, red floor to finish a good book while waiting for classes to begin; and buying blue books for Php 2 from a certain manong at the second floor.